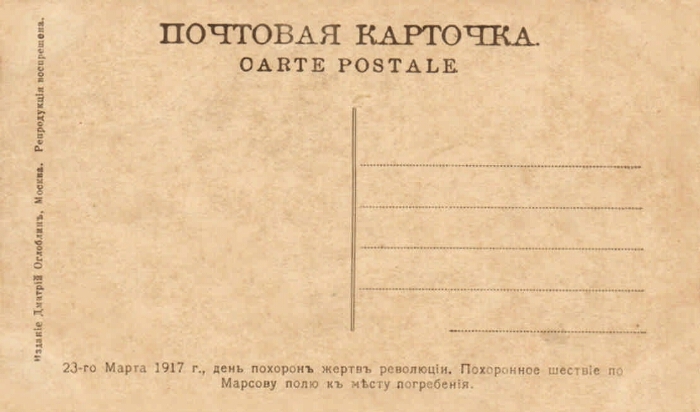 Electronic reproduction of the postcard: March 23, 1917, the day of the funeral of the victims of the revolution. 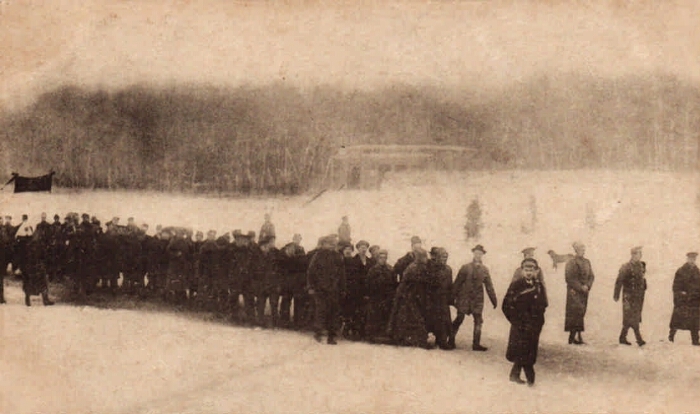 Funeral procession along the Mars field to the burial place [Izomaterial]. Moscow: the edition of Dmitry Ogloblin, . 1 postcard: offset. Reproduction prohibited. Location: From a private collection.